Physical therapy is an integral part of rehabilitation after an injury or orthopedic surgery, although it’s equally as beneficial if you have a chronic condition like arthritis. The leading physical therapy team at The Centers for Advanced Orthopaedics: Maryland Orthopedic Specialists Division provide general physical therapy programs for patients of all ages. Not only do their advanced physical therapy treatments help you get stronger and relieve pain, but they can also minimize your risk of future injury. Calling the Bethesda or Germantown, Maryland, office or book an appointment online. Since physical therapy is designed to help you heal and regain strength, it takes time. Most men and women need 2-3 sessions per week for several months to achieve optimal results. What happens during a physical therapy session? Because your physical therapy plan is customized to your needs, there's no one-size-fits-all treatment. If you have a limited range of motion or are temporarily disabled, you may spend a lot of time working directly with your physical therapist in the beginning. They might spend time performing passive exercises, where they move the injured area for you. As you get stronger, you’ll usually start working with additional team members who teach you strengthening exercises and ensure you perform them correctly. You should expect to do these exercises in the office and at home. Most physical therapy sessions include soft tissue treatments, too. You may need localized massages or electrical stimulation, followed by heat or ice packs before you head home. Because physical therapy sessions include some movement and exercise, it’s best to wear loose-fitting, comfortable clothing and athletic shoes. Will I be sore after physical therapy? Physical therapy often involves deep stretching and movements designed to push you to your limits to improve strength and flexibility. The same way you get a little sore after a good workout, you might feel some soreness or stiffness after a PT session. Often, ice or heat can minimize any issues with pain or stiffness after PT. You can always apply a heat or ice pack at home if you’re feeling sore the next day. But talk with your physical therapist if your pain is getting worse or you’re too sore to move after a session. They can easily alter your plan to ensure you don’t continue to get sore. 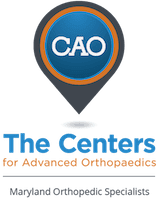 Schedule your physical therapy evaluation at The Centers for Advanced Orthopaedics: Maryland Orthopedic Specialists Division by calling either office location or booking an appointment online.